American multinational corporation Dole Food Company, Inc. is the world’s largest fresh fruit and vegetable company. 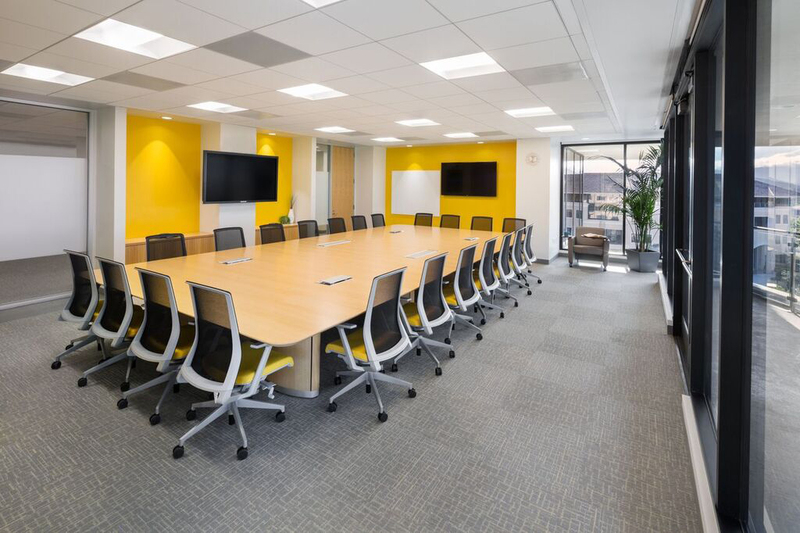 When their marketing arm, Dole Packaged Foods, LLC bifurcated from the company, they moved out of the sprawling Westlake Village headquarters to create their own corporate identity. After relocating to a nearby four-story office building, Dole Packaged Foods wanted their new home to reflect a cutting-edge marketing culture that would be a far cry from the conservative firm that spun them off. It was important for their built environment to reflect their colorful brand image and their lighthearted, vibrant brand culture. 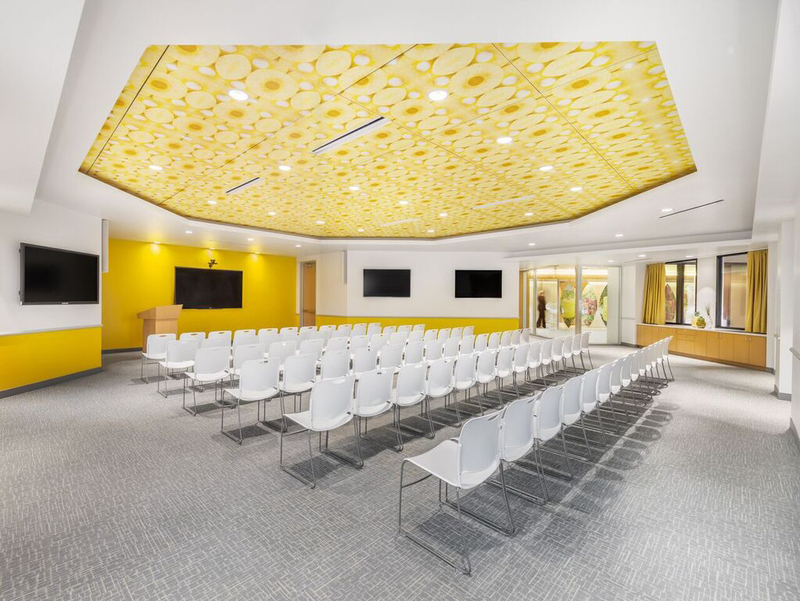 Dole Packaged Foods worked with Unisource Solutions to develop a functional layout and select office systems representative of the brand and best suited for each space. 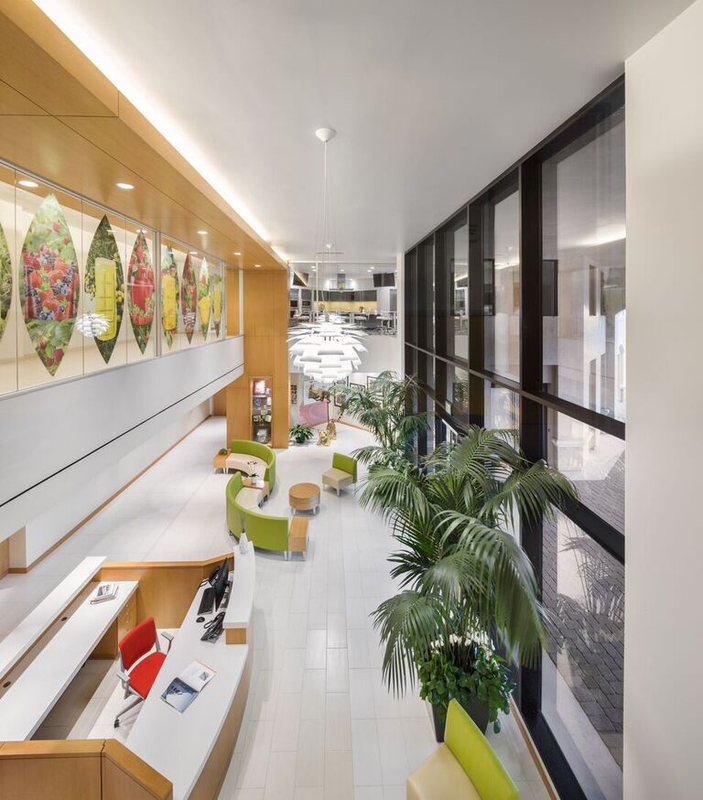 Designed by Behr Browers Architects, the North American headquarters occupies over 80,000 square feet and houses workspaces for more than 220 people. 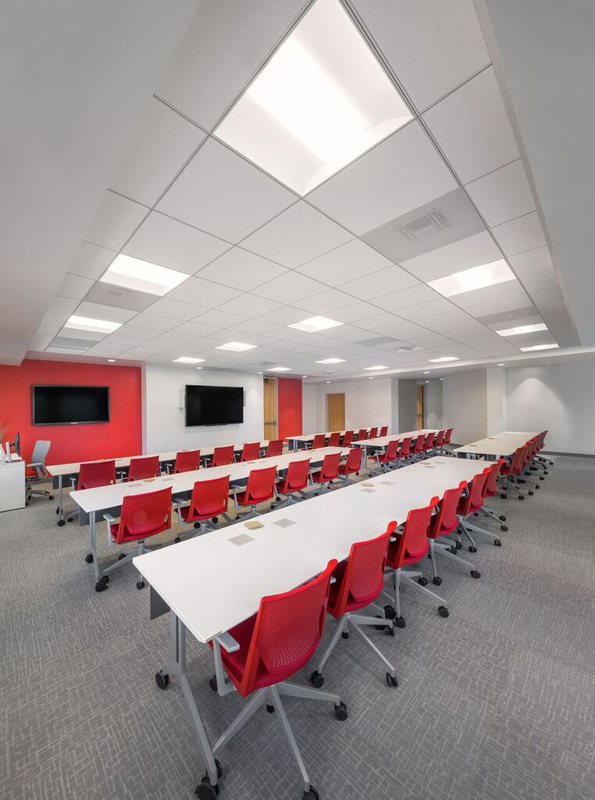 It includes private offices, workstations, eight conference rooms, four collaborative spaces, a presentation room, an auditorium, test and demo kitchens, two product development labs, training room, a café, and outdoor patio. 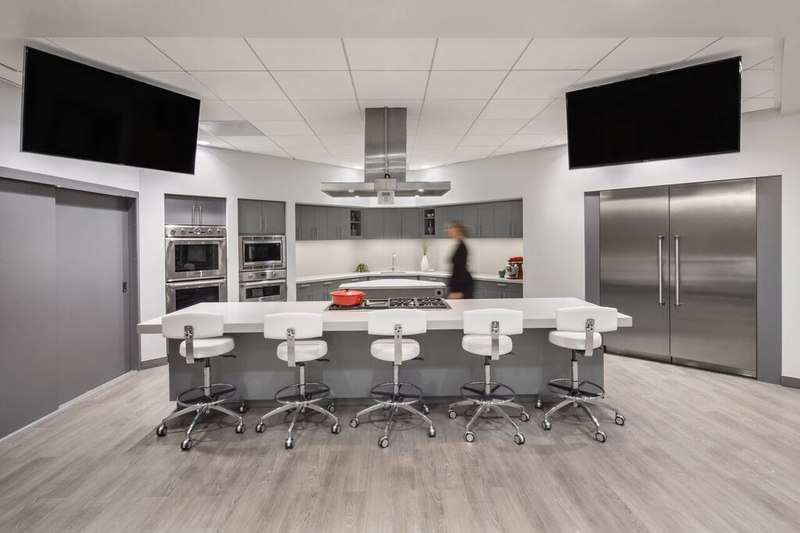 Our team embarked on an extensive design discovery process to uncover employee insight and identify ways to reflect culture and brand throughout the spaces and with the furnishings. We worked with an employee-led committee that was integral to the design process. 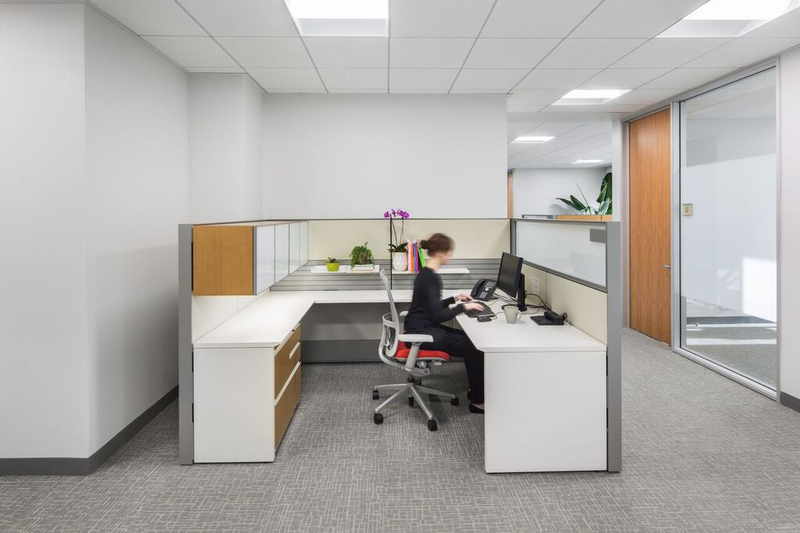 We produced mock-ups to fine-tune the look, feel and function of the workstations and offices. We custom-colored fabrics and finishes to match architectural elements. And, we sourced colors to reflect branded themes throughout the space. To further enforce the brand identity, the committee garnished conference and meeting rooms with whimsical names such as, Strawberry Fields, Banana Bay and Fruit Bowl. The names underscore the room’s decor while highlighting Dole’s product offering. 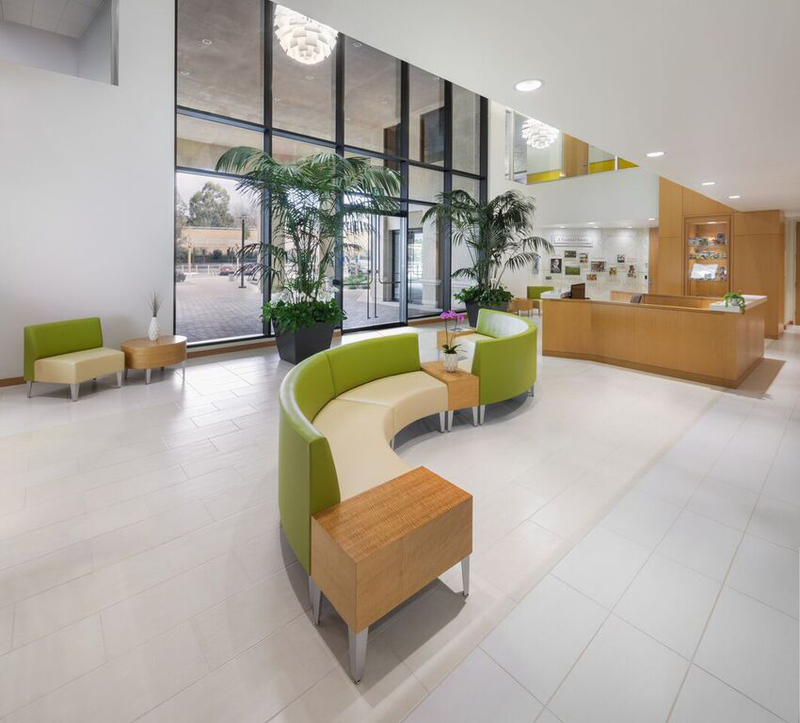 Throughout the process, we worked with Dole to earn LEED Gold Certification. 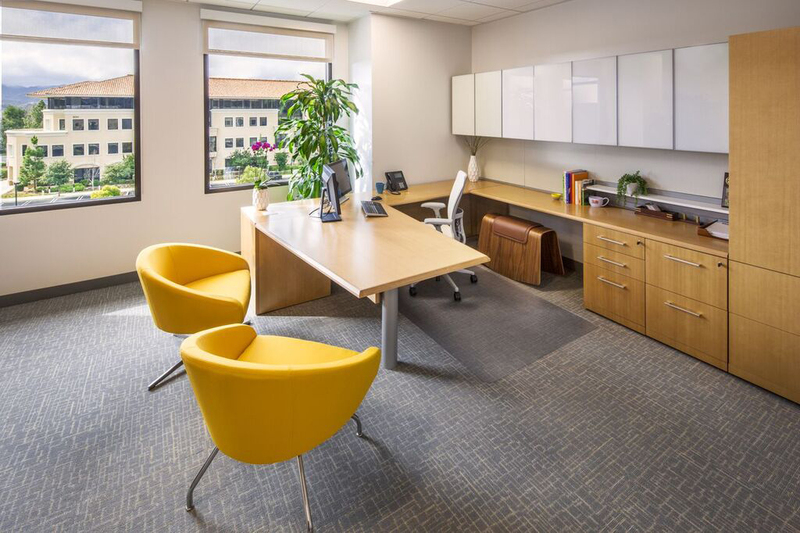 We specified non-harmful materials and fabrics, and carefully documented material selections to create a healthy, employee-driven environment. The result is a joyful atmosphere that reflect’s Dole’s healthy, engaging culture and brand message. 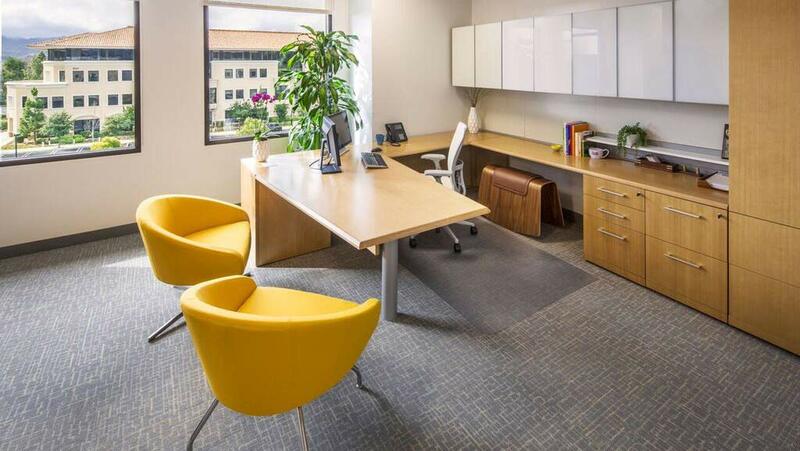 Like what you see here and want to get started on your office and workplace design project?